Happy Tuesday! Its summer but its raining, but when it was rainy it was very humid. How ironic. Last night me & my friend Jovy went on a walkathon. Do you know Strings Manila along Buendia? We also went to Grey A.Venue near Quirino to check online shop items. They sell a lot of stuff in there including KJM Cosmetics Cheek & Lip Stain. 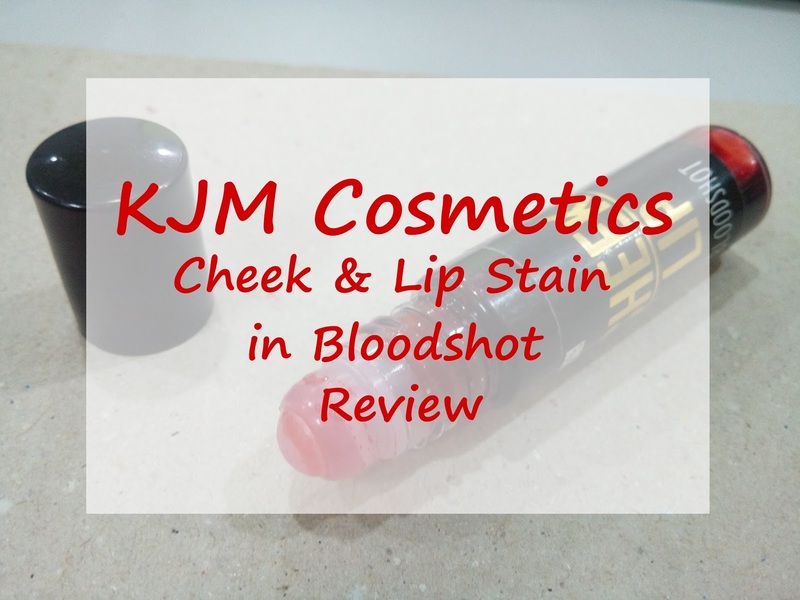 Our review for today is about KJM Lip tint in Bloodshot. KJM is a Davao-based company that sells their own line of lip stains. They have a big following in instagram and they are all the hype being organic and all natural. I believe their have about 10 shades available. 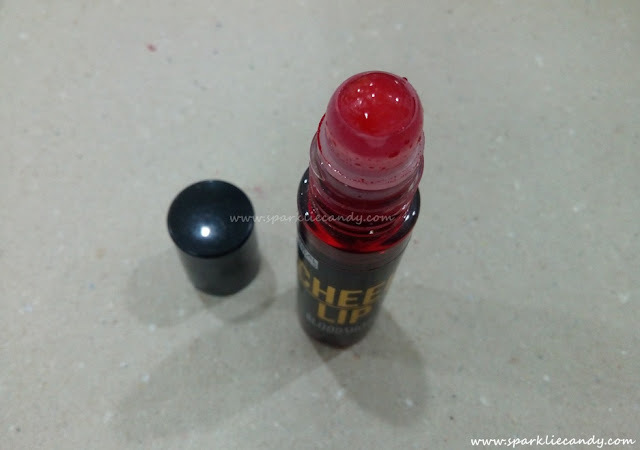 Like the typical lip tint its housed in a plastic tube with a roll on applicator. Shelf life is only 6 months. 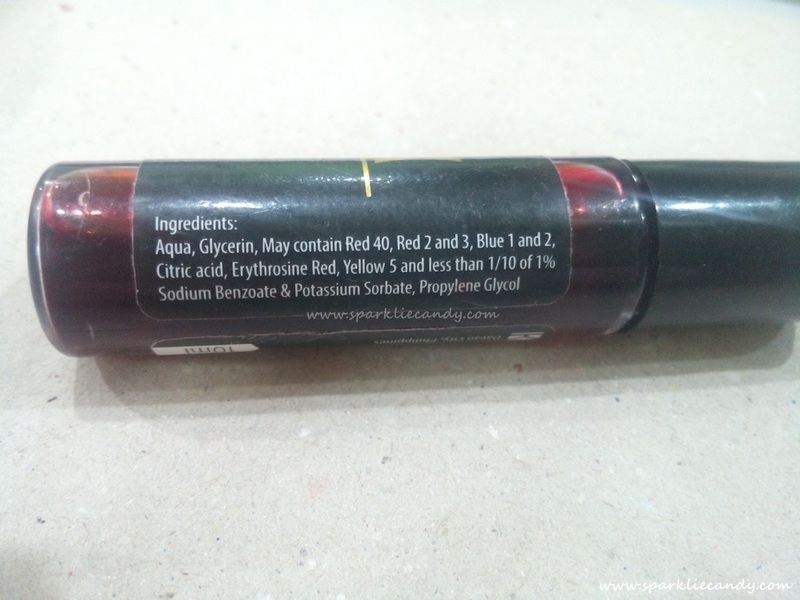 Here is a snap of the ingredient list. 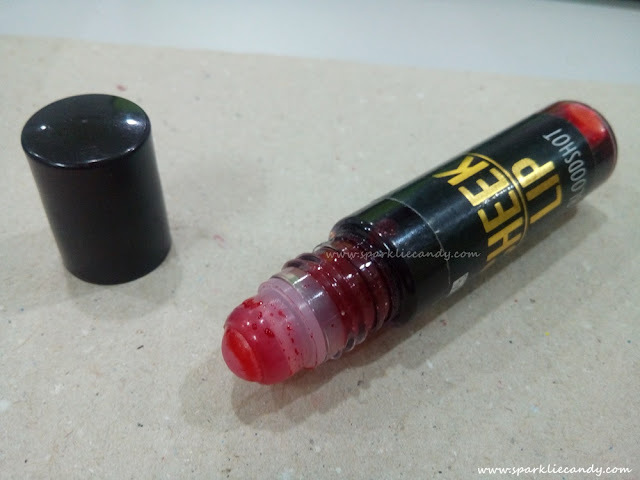 If my memory serves me right, my very first lip tint is from Strip it. I remember hating it for the funky smell after using it for a few months. 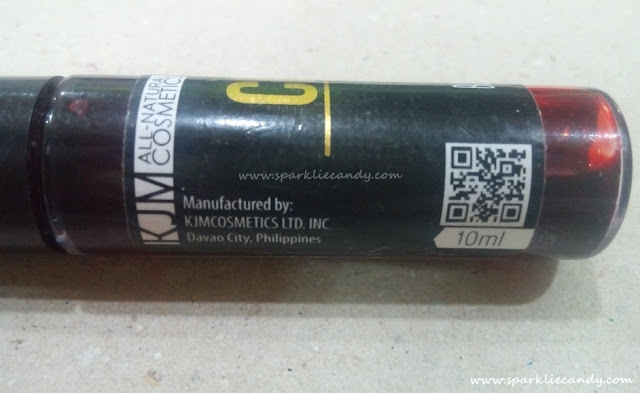 Will KJM tint be any different? The consistency of this tint is liquid. The roll on applicator dispenses just the right amount of product. No spill, no mess formula. The color is opaque and stays true to its swatches online. The color is even buildable. 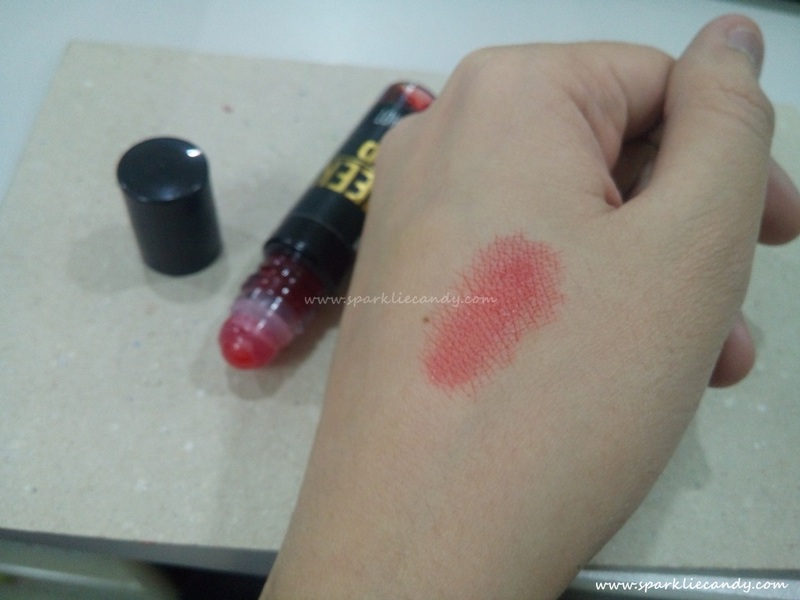 But I wouldn't dare because the shade - Bloodshot is already eye catching to begin with. It really does remind me of blood. 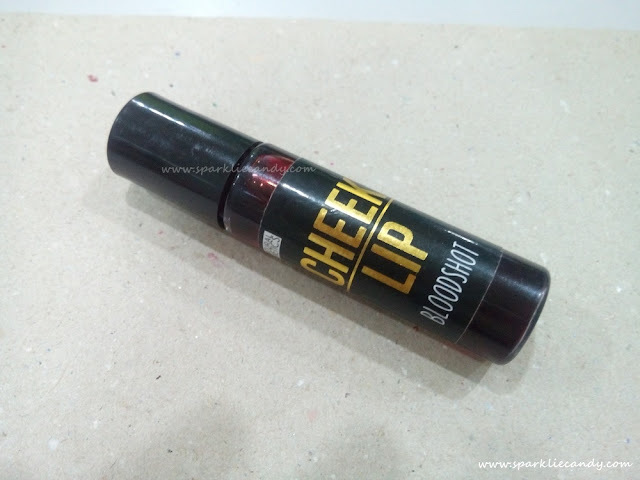 P150 per 10ml tube! Only available online and certain pop up stores in the Metro. Smells funky after using for a while, the 6 months rule is for real. I might try other shades. For P150 a tube, its all worth it. 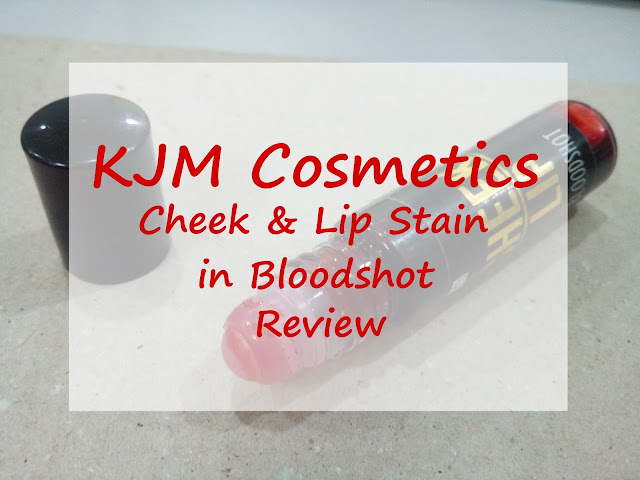 KJM Cosmetics Cheek & Lip Stain is made locally and its all natural. 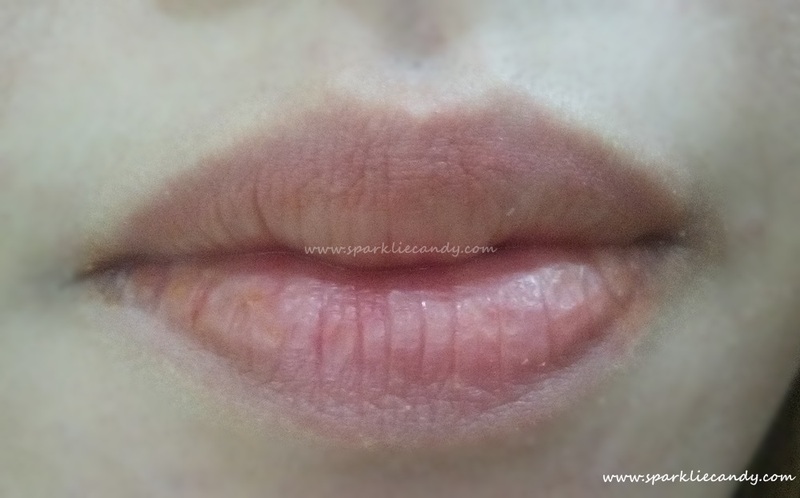 I like the color both on my cheeks and lips and even if it only last 6 months its okay because with everyday use, it may not even last till the 6th month! Lol.